Our subject is primarily life, but if you feel that life’s missing something, steal a camera and try to give life a style. 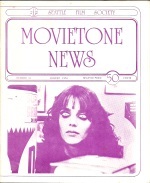 Partner, Bernardo Bertolucci’s third feature film, has always been one of the most elusive of the director’s endeavors: a forthrightly experimental work—”a film that comes from the head,” in Bertolucci’s own phrase, “a totally deconstructed film”—that willfully declines to satisfy audiences’ conventional expectations regarding narrative and emotional identification with characters. Nominally based on the Dostoevsky novella The Double, the movie centers on—and largely transpires in the imagination of—a rather priggish young drama teacher in Rome played by Pierre Clémenti. Clémenti also plays the wilder, looser alter ego who begins to share the teacher’s life and, to an extent, identity; both go by the name of Giacobbe (or Jacob, in English-language commentaries). There is a moment in Bernardo Bertolucci’s Before the Revolution when the protagonist, the scion of an Italian noble family, learns that a friend has taken his own life. He had been speaking with the young man only hours before and declined his fervent proposal that they go again to see Howard Hawks’s Red River. Bertolucci cranes up and backs off from his hero; then his camera pivots on the young man’s figure, slowly describing 90 degrees of arc around him as he looks out at a changed world. Cinema comes so naturally to some filmmakers. 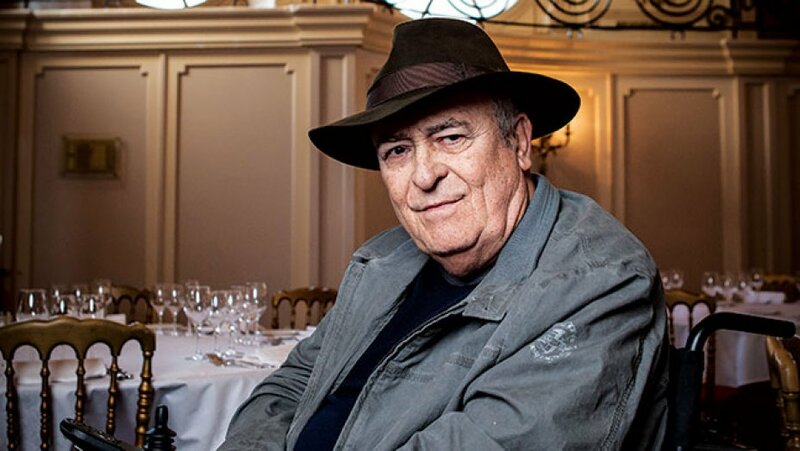 Bernardo Bertolucci once revealed that he dreamed camera movements years before laying hands on a camera. But even without this confessional nudge, his aptitude for the medium, his kinesthetic thrall with luminosity, surfaces, colors, trajectories, is apparent in the films he has made. 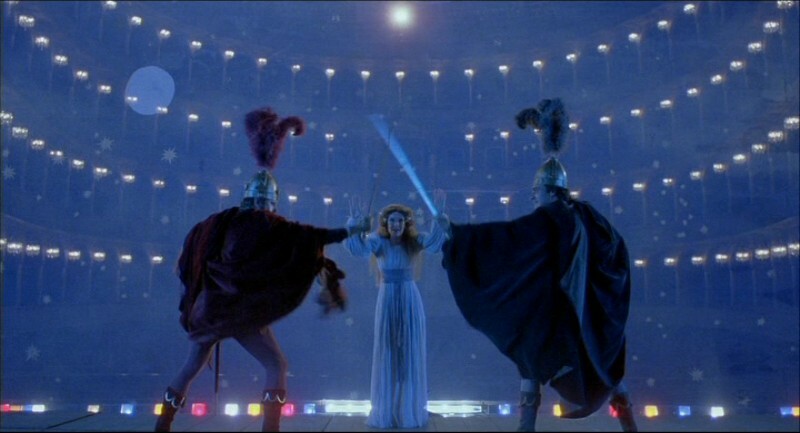 Opera has been a frequent touchstone in his work, existentially and aesthetically, but he doesn’t need it as a brief for grandiosity or vividness of style: it is as natural for Bertolucci to soar as it is for others to walk. The political and the sensual meet in the cinema of Bernardo Bertolucci. His visually dense and stylistically labyrinthine films are among the most beautiful — and the most provocative (The Last Tango in Paris) — ever made.His career straddles canvases both epic (1900,The Last Emperor) and intimate (Luna, Besieged), from defiantly Italian stories that reverberate with the echoes of Italy’s Fascist past to international dramas that explore culture,history, and spirituality around the world. All of them are beautifully crafted works attuned the texture of experience and the magic of the moment. Partner is the film Bernardo Bertolucci made following Before the Revolution and prior to The Conformist, The Spider’s Stratagem, and Last Tango in Paris. It is nominally based on Dostoevsky’s The Double. There are some really extraordinary things in it, but it is also the least satisfying of the five Bertolucci films that have found their way to the United Stares (his first feature, The Grim Reaper, is not in distribution here). While there are sometimes two Pierre Clémentis on screen at once, the movie and the character suffer less from split personality than from multiple fractures. Clémenti plays Jacob, a young intellectual haunted by his own double; and here, as elsewhere, Bertolucci is concerned with the gap between political awareness and political action. But despite the film’s basic conceit, he has failed in Partner to find illuminating forms and figures for this very contemporary emotional ailment. The double device signifies in only the most obvious ways: mostly it provides opportunities for Bertolucci to create some fascinating shots. Toward the end, we are told that the revolutionary side of Jacob is a part of all of us that may some day find expression. But this neither suggests nor compels much conviction, especially since Bertolucci, his film, and the characters trail off into self-doubt … at which point the film ceases to continue. Roberto Perpignani quite auspiciously made his official debut as professional film editor on Bernardo Bertolucci‘s feature debut Before the Revolution (1964). He went on to work with Bertolucci on The Spider’s Stratagem (1970) and The Last Tango in Paris (1972) and became the longtime editor for Paolo and Vittorio Taviani, a collaboration that begin in 1972 with St. Michael Had a Rooster. Perpignani won the David di Donatello Award (the Italian equivalent of the Oscar) for film editing three times, twice for Taviani films—The Night of the Shooting Stars (1982) and Caesar Must Die (2012)—and in between for the international hit Il Postino (1994). But it was Orson Welles that started his career as a film editor, first on In the Land of Don Quixote, a series of short documentaries that Welles made for Spanish TV, and then as one of his primary assistant editors on The Trial. Perpignani cut the film at a makeshift editing bay in the abandoned train station Gare d’Orsay in Paris, where Welles was shooting in another section of the station, and worked on the film practically up to its debut in the final weeks of December, 1962. I had the great honor of meeting Perpignani when he came to Seattle to introduce a screening of Bertolucci’s The Spider’s Stratagem at the Seattle Art Museum, a 1999 event co-sponsored by the University of Washington. He graciously agreed to sit for an interview the next day. “I’m sorry my English is terrible today,” he remarked. “Worse than usual.” Perhaps, but it was certainly better than my Italian, and he had help translating some phrases and words from a professor of Italian Studies at University of Washington, who hosted the interview at his home. It’s with some embarrassment that I confess that in the years since I lost that man’s name, for he was essential in making this interview happen. The Conformist (Raro, Blu-ray, DVD) opens in the deep blue of dawn, an intense, vibrant azure with a hint of ultramarine that blankets the city like an ocean. 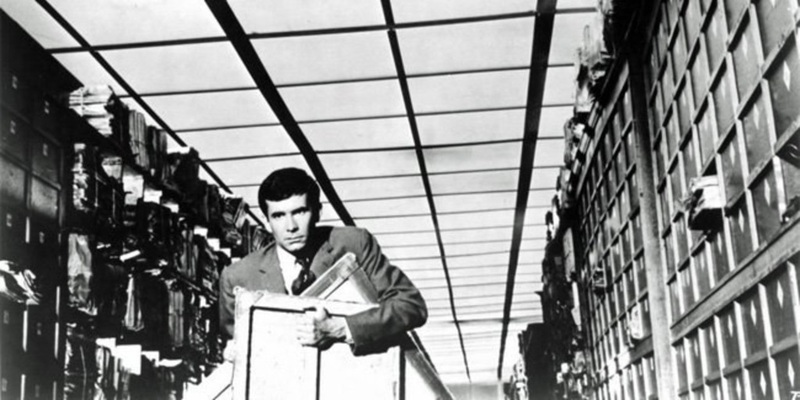 Marcello Clerici (Jean-Louis Trintignant), a petty bourgeois Italian who just wants to disappear into the fabric of his society, specifically Mussolini’s Italy in the 1930s, has volunteered to be an informant for the Secret Police. He doesn’t believe in the Fascism, he just wants to belong, and under the glow of this overwhelming blue he heads off to oversee the political assassination he has been called to facilitate. This is the temperature of his dispassionate nature, the calm of conformity that he desires, but even under this comforting ocean of reassurance, he remains anxious and out of place, a pretender to this society who wears his convictions like a suit. It’s all about appearance. I focus on this blue because until now, it has never enveloped me so as I watched Bernardo Bertolucci’s The Conformist (1970). I’ve seen the film on 16mm college prints, on 35mm revival prints, and on Paramount’s DVD from a decade ago, but this restoration brings out Vittorio Storaro’s colors with a richness and a depth I’ve never seen before. For the first time those hues have reached through the screen and into my experience. Color is central to the experience of The Conformist, pushed to intensities beyond what we could call natural yet nothing so actively artificial as the great MGM Technicolor musicals or as symbolically loaded as Antonioni’s Red Desert. It’s not some much unreal as hyper-real, a subjective reality as seen through the eyes of Marcello, a man seeking comfort in conformism and compromise. Those blue filters create a deep blue ocean of a sky, a perpetual twilight that is at once calming and unsettling. If it represents Marcello’s ideal state of stasis, it threatens to drown him as much as comfort him, and its chilly atmosphere suggests his amoral compromise. He may desire Anna (Dominique Sanda), the young wife of his former professor, but it sure isn’t love, and he’s quick to shut off any human connection to her when his mission as an agent / informer for the Secret Police comes to fruition. He has no love for his own beautiful, shallow, and silly petite bourgeois wife Guilia (Stefania Sandrelli), who is “all bed and kitchen,” he tells his best friend, a blind radio personality who spouts Fascist propaganda on a daily basis. Luna is just a word, a magic word, by means of which everyone can project his or her own dream. The moon, of course, is a very rich symbol, but the only reference to it I‘d accept is the simplest one: just as the moon has two faces, so every character and situation in the film has two faces—that which appears and that which is hidden. Luna is, in a very important sense, a surrealist film which makes use of the stylistic possibilities opened up by Buñuel in the 1960s. Belle de jour, for example, used a basically realistic mise-en-scène for all of its sequences: dreams, fantasies, and flashbacks were permitted to exist on the same plane with everyday experience; no perceptual reality, no level of experience, was treated as more (or less) real than any other. Advancing the surrealist attack on the conventional distinction between dream and reality, Buñuel demonstrated that matter-of-fact realism is much more appropriate than expressionistic exaggeration in presenting the basic validity of surrealist perception. Luna, in turn, might be viewed as a seamless blend of realistic narrative and surrealist psychology. In Belle de jour, one can still deduce that some scenes are dreams and others are not—though the film’s stylistics render this process comparatively irrelevant. But in Luna, Bertolucci extends this ploy even further: no scene is clearly marked as a fantasy or dream, and none is entirely free of the irrational associations and impulse that we customarily link with the world of dreams. With or without the director’s public statements about the film’s conception springing from his own dreams and memories, Luna‘s events are simultaneously the stuff of dreams and the stuff of realistic drama.